This photo was taken by unknown pilots (392. Bomb Group) in 1945. St Ives is a seaside town and port in Cornwall, England. The town lies north of Penzance and west of Camborne on the coast of the Celtic Sea. 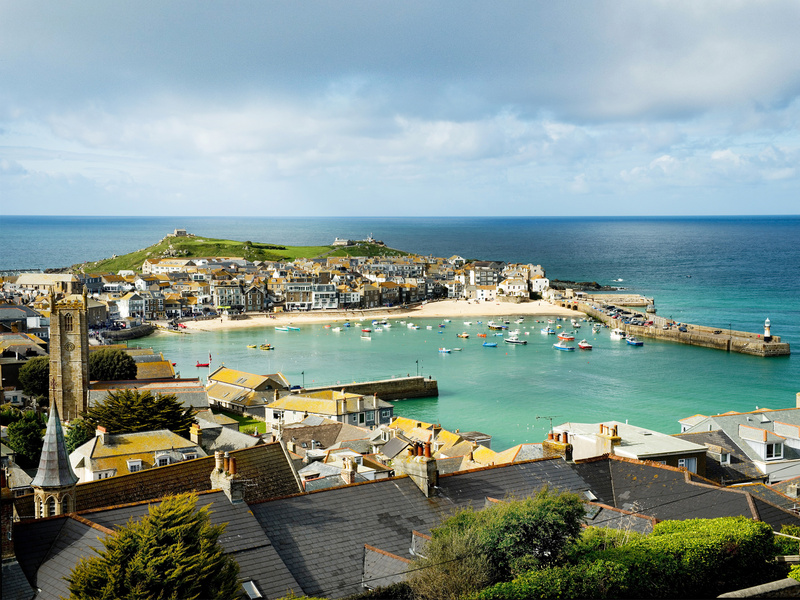 In former times St Ives was commercially dependent on fishing. 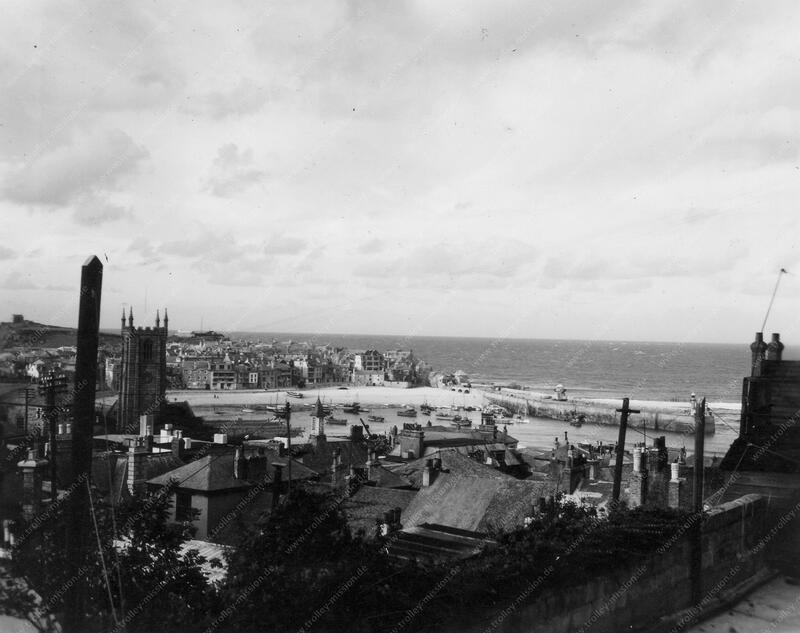 Today the town is primarily a popular seaside resort.